When you’re viewing homes to buy for personal use or investment purposes, you probably don’t have experience in assessing all the major components of a house to ensure it is worth the purchase price. That is why a purchase offer is often contingent on several types of home inspections. Before making a final decision on whether to buy a certain piece of real estate, schedule the following inspections for a full report on the condition of the property. A licensed electrician can examine the home to be sure the electrical system is up to date and within building codes. If not, the system will have to be updated, and additional lines may need to be added to safely accommodate the residents’ electricity usage. The required number of outlets per room at the right height from the floor should also be verified. Wires that appear to be physically worn should be replaced. Water can create all kinds of problems in a house. It can leak into the basement, back up a drain or septic system, or trickle behind walls to create mold and rot the structure. Basements and attics may also harbor accumulated water from roof or foundation leaks. Water can seep into any crevice in a home’s structure. Homes built on a slab may sometimes experience water creeping from beneath the slab to cause cracks and damage. Any signs of water damage should be addressed immediately. A pest exterminator can identify signs of previous or current invasions and nesting. Insects like roaches, ants, bees, wasps, and hornets can build hives in dangerous places on or near your home. Flying insects that sting are especially important to remove as some people are allergic to insect venom and can have a serious or fatal reaction if stung. Wood Destroying Insects cause billions of dollars worth of damage in the US every year and you should most definitely have Wood Destroying Insect Report (WDIR) or pest inspection performed when purchasing a home in the Asheville area. Outdoor pests, like mice, rats, possums, raccoons, rabbits, snakes, and bats can take up residence in your home and be very difficult to remove. After burrowing into your roof, walls, basement, or attic, they should be eliminated carefully. If killed in your home, there will be an odor, and there is always the risk of babies that survive and must be dealt with later. A roof inspection is just one of many items we will inspect during your home inspection in the Boone area. The chimney should be intact with no crumbling bricks or mortar, and it should have a stable screen to prevent pests, like birds and bats, from getting into the home. Roof tiles must also be inspected to see if any are missing, damaged, or at risk of being torn off by high winds. Gutters and downspouts also should be examined to ensure that they are fully connected and working properly to drain rain or melting snow off the roof. Check for a buildup of leaves or other debris in the gutters, which can lead to pooled water draining into the home. Depending on the home’s age, the foundation on which it sits could be starting to show signs of age. Western North Carolina’s soils and geology add outside forces on a home’s foundation not seen in many other areas around North Carolina so we make sure that your home’s foundation gets the attention it needs during your home inspection in the Hendersonville area. Crumbling brick or concrete, cracks, and holes, basement walls that lean or leak water, or a buildup of mold, especially black mold, are warning signs of disrepair. Outside, the soil or sidewalk surrounding the home at ground level should slope away from the structure to keep rainwater from trickling into the foundation and damaging the home. Basement windows should be checked to ensure they are not letting rain or moisture get inside. Aging lead water pipes are hazardous because of their lead content that can leach into drinking water and harm people. A home’s plumbing system should be checked to ensure the pipes are all updated and made of PVC or copper, which are safer and easier to replace than lead pipes. A licensed plumber can inspect the entire plumbing system to ensure the pipes are properly connected without leakage and that the water flow is adequate for household use. Dripping fixtures or running toilets will be noted in the plumber’s report and may need to be replaced. Water pressure and the quality of well water, if used, may be tested. At Mountains To Sea Inspections, we realize the damage that a faulty plumbing system can cause to a home, that is why it is one of hundreds of items that is thoroughly inspected during your home inspection in Weaverville. Radon is a natural gas found in many parts of the country. It emanates from the ground and is not noticeable because it is odorless, tasteless, and colorless. Undetected, radon can cause lung cancer in humans. Thats why at Mountains To Sea Inspection we have made the investment in the best available radon testing equipment that digitally samples the air column in your home every hour to measure not only radon concentrations but also humidity, temperature, pressure and whether the testing equipment has been moved. The house is closed up during the testing cycle which runs a minimum of 48 hours. The reading on the test equipment will determine if mitigation is needed. Mitigation involves installing a suction pipe to redirect radon gas in the basement through a vent leading outside. The lowest level of living space is tested again after the test to ensure radon levels are reduced to safe levels. Other considerations to be checked in a home include windows which, if deteriorated, may allow rain to trickle inside. Structural integrity of beams may also be examined during the foundation inspection or separately. These inspections are well worth the cost and can save a buyer thousands of dollars and huge inconveniences if problems are found. Sellers sometimes share repair costs too. 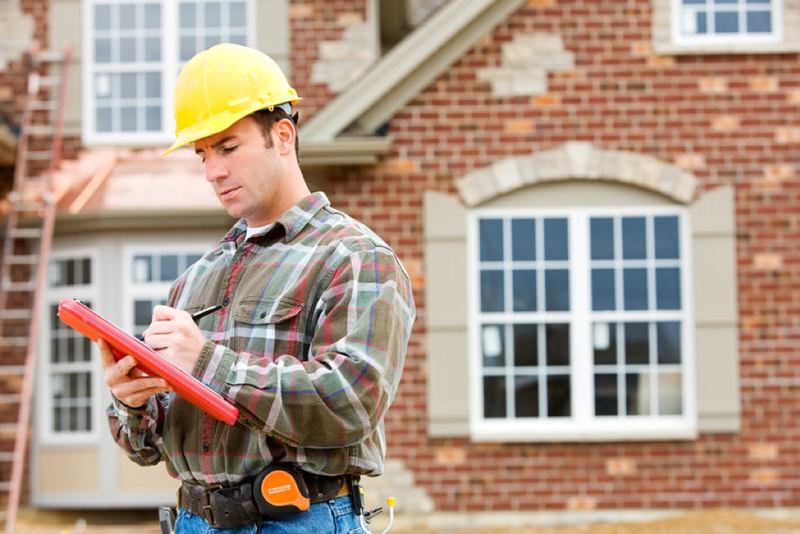 Have a professional inspect your home for not only the safety of your house, but the safety of those within it as well!